Our experience of dealing with clients who are prosecuted for Road Traffic offences is that their licences are very valuable to them and the inconvenience of losing it is considerable and can lead to loss of employment and can place great strain upon the family. Within Road Traffic Law there are offences where disqualification is mandatory, such as driving with excess alcohol and offences where the Court will, in addition to punishment, impose penalty points and have a discretion to disqualify somebody from driving depending upon the exact circumstances of each case. The offence of driving with excess alcohol specifies the legal limit to be 35mg of alcohol in 100 millilitres of breath. The offence can occur either on a road or in a public place, which means for instance supermarket car parks are areas where the offence can be committed. The Police can require a breath sample from anybody they have reasonable grounds to suspect may have committed the offence of drink driving, and this can range from observing an incident of bad driving on the road, to receiving intelligence of somebody who has perhaps driven home from the pub whilst intoxicated. The Police do not need to see you driving to require an initial specimen, and this is provided usually at the roadside on a handheld breathalyser device, which is effectively a screening process and, if the device indicates that you have more alcohol in your system than the law allows, you will be arrested and taken to the local custody centre where you will be asked to provide two specimens of breath on the intoxilyzer machine, which is called the evidential sample, as this is the reading which will be quoted in Court should you be charged and prosecuted. Failure to provide a specimen when requested so by the Police without a reasonable excuse is an offence, which also carries a mandatory disqualification from driving. If you have a medical condition that prevents you from providing a breath sample, you should let the Police know as soon as possible during the procedure and they may offer you the opportunity to provide a sample of either blood or urine instead. For those convicted of driving with excess alcohol the sentence the Court imposes, can range from a financial penalty up to, in the most serious cases, six months imprisonment, but it all depends upon the circumstances of each case. 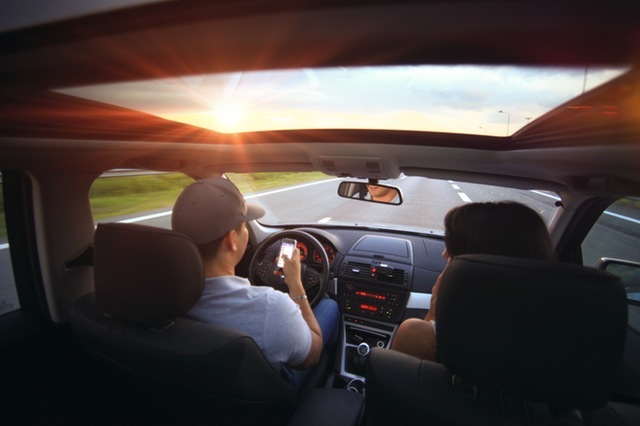 Disqualification is mandatory (save in certain very exceptional circumstances which relate to the reason for driving, rather than the personal hardship that disqualification would cause the individual). The length of the disqualification is overwhelmingly determined by the level of the reading and is a minimum of 12 months for a first offence, and a minimum of 3 years for any second or subsequent offence committed within 10 years of the first offence. The disqualification may be reduced if the Court offer the drink drive rehabilitation course, successful completion of which can reduce disqualification of up to a maximum of a quarter. Other common Road Traffic Act offences such as speeding, driving with due care and attention and failing to stop at the scene of an accident carries penalty points and a discretionary disqualification depending upon the seriousness of each particular offence. For those who have held a driving licence for more than two years, you may be at risk of losing your licence should you incur twelve penalty points within any three year period. For new drivers the limit is six penalty points. If you feel you are at risk of disqualification under the totting up procedure, we recommend that you seek our advice at the very earliest stage to see what can be done to keep you on the road.